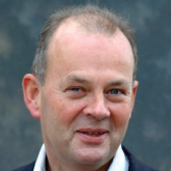 Peter White has run his own public affairs consultancy since 1994. Over these years, he has designed communications strategies for organisations, recruited and trained in communications staff and been to hand to generate tactical responses. Through the most direct means, he gets to the point. From 1984 to 1993, he was press secretary to a major Irish political party (Fine Gael) through periods of government and opposition. Prior to that he was press secretary to Ireland’s employer organisation (FUE, later merged into Ibec). For several years he provided public affairs training courses to the Irish Management Institute and Trinity College Dublin and he continues to provide tailored training programmes for senior managers. He studied philosophy at Trinity College Dublin from 1973-1978 with a year off the books while he was President of the Students’ Union. In 2014, he was awarded a PhD by University College Dublin – where, since 2016, he has taught Existentialism and Humanism.